The best orthopedists of Israel. Dr. Ishai Rosenblatt – Senior doctor in the Department Hand Surgery, Medical Center, Tel – Aviv (Ichilov), Head of Hand and Elbow Department in Assuta. Dr. Zvi Cohen – Senior Surgeon, Ankle Surgery Department, Tel -Avivs Medical Center (Ichilov) and Assuta Hospital. Dr. Gideon Burstein – Senior Surgeon Orthopedics Department, Sheba Medical Center Tel Hashomer. Expert in Hip and Knee Ortopedic Surgery. Dr. Igo Goldberg – Senior Surgeon of Arms and Hand Surgery Department, Assuta Hospital. Independent surgical practice, Hand rehabilitation center, Israel. Dr. Esther Rubinraut – Head of the hand & wrist unit at the Jonathan Orthopedic Center, Assuta. Dr. Gabriel Agar – Expert in knee and Shoulder surgery. Head of Department of Orthopaedic Surgery, Medical Center Assaf ha Rofe. 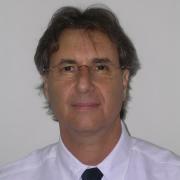 Prof. Mati Nof – Expert in Ankle and Foot surgery (incl. diabetic). Head of Department of the ankle and foot surgery, Asaf ha Rofe Hospital. Dr. Eran Maman – Expert in shoulder surgery. Head of Shoulder Surgery Dpt., Tel Aviv Medical Center (Ichilov). Dr. Nachshon Shazar – Expert in orthopedic trauma and Hip treatment. Director of Orthopaedic and Traumatology Unit, Sheba Medical Center, Tel Hashomer. 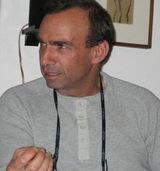 Dr. Gabriel Moses – Senior Doctor, Tel-Aviv Medical Center. 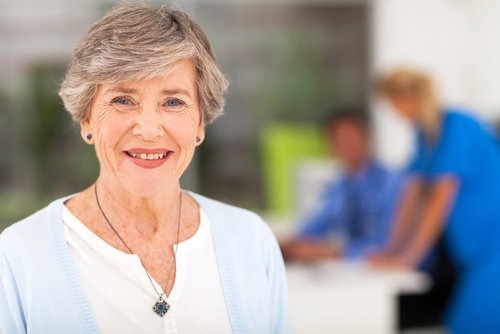 Head of the Shoulder Surgery Department, Assuta Hospital. Prof. Rami Moshayov – Head of Orthopedic Trauma Unit, Hadassah Medical Center. 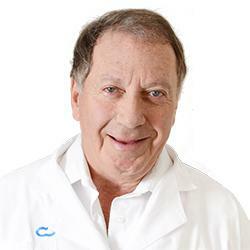 Professor Meir Niska – Expert in Ankle and Foot (incl. diabetic) surgery. Head of orthopedic Dpt., Meir Medical Center. Prof. Shlomo Weintraub – Head of the Department of Pediatric Orthopedics, Medical Center in Tel Aviv (Ichilov). Dr. Elhanan Bar-On – Expert in pediatric orthopedics. Head Pediatric Orthopedics Department, Schneider Hospital. Dr. Noam Bor – Expert in treatment of polio, spine and limbs in children. Director of the Children’s Medical Center. Dr. Yaniv Flour – Director of arthroscopy and sports injuries in children and adolescents Department, Dana Children’s Hospital, Tel Aviv Medical Center (Ichilov). Dr. Dror Ovadia – Expert in child scoliosis. Head of Spine Surgery Department (children and adolescents), Dana Children’s Hospital, Tel Aviv Medical Center (Ichilov). Dr. Nahshon Knoller – Head of the Spine Surgery Department, Chaim Sheba, Tel Hashomer. Dr. Alon Friedlander – Head of Back and Spine Unit, Department of Spine Ortopedic Surgery, Sheba Hospital, Tel Hashomer. Dr. Reuven Gepstein – Expert in Spinal surgery. Head of the Department of minimally invasive spine surgery, Meir Hospital, Kfar – Saba. Dr. David Hendel – Surgeon. Head of Spinal Surgery, Shaarey Zedek Hospital in Jerusalem. 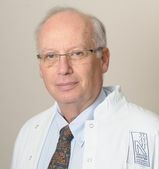 Professor Yitzhak Otrimsky – Surgeon – orthopedist (spinal surgery), Head of the Orthopaedic Surgery Department, Medical Center of Tel Aviv. Dr. Israel Kaspi – Chief physician of Spinal Surgery Dpt., Sheba Medical Center, Tel – Hashomer. Dr. Yigal Mirowski – Head of the Department of Spine Surgery, Medical Center Asaf-Ha’Rofe. Professor Jacob Narubai – Senior physician in Department of Orthopaedics and Head of the Department of Spine Surgery, Sheba Medical Center, Tel – Hashomer. Professor Isar Flyuman – Spinal surgery department, Assuta Hospital and Tel – Aviv Medical Center. Dr. Leon Kaplan – Expert in spine surgery in children and adults. Head of the Spine Surgery Division at Hadassah Hospital, Jerusalem. Head of Orthopedics (Pediatrics) Unit – Tel Aviv Sourasky Medical Center. Prof. Reuven Gepstein is the Head of the Spinal unit at the Sapir Medical Center in Israel. Head of Orthopedic Dep A – Assaf Harofe medical center – August 1984 – Present (32 years). President at Israel Orthopedic Association. Head of shoulder surgery division, Orthopaedics department, Surasky Medical Center, Tel Aviv. Head of the Multidisciplinary Center for congenital bone disease and the Laboratory for walking and movement, children’s orthopedics department, Hospital “Dana-Douek” Children, Tel Aviv Medical Center. Head of the Department block children’s surgery of the foot and ankle. A leading orthopedic surgeon for children and adult orthopedic surgery department of Foot and Ankle, Medical Center. Chaim Sheba Tel Hashomer. Director of Orthopedic and Traumatology Department, Sheba Medical Center Tel Hashomer, Israel. Head of ankle and foot surgery department, Asaf-A-Rofe Hospital. Head of Shoulder Surgery Unit, Orthopedics Department, Tel Aviv Medical Center “Sourasky”. Head of Shoulder Surgery Department, Assuta Hospital.